Home / Greater Springfield’s Very Own University is One of the Best in QLD! string(62) "Springfield’s very own University is One of the Best in QLD!" string(27) "Courtesy of USQ Photography"
Greater Springfield’s Very Own University is One of the Best in QLD! 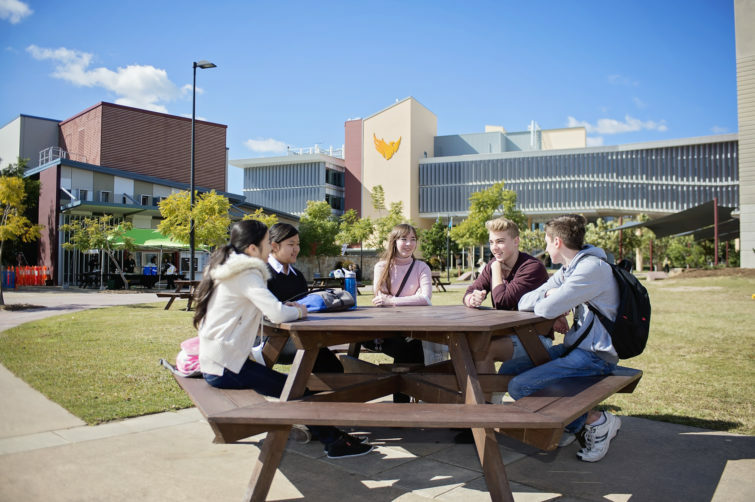 The University of Southern Queensland (USQ) Springfield Campus has a ‘Community Centred – Career Focused’ theme that provides a student-focused environment with the latest in education delivery and technology. USQ’s high-quality facilities, award-winning education formula and exceptional student support equip under-graduates and graduates alike with the tools they need to succeed in today’s rapidly changing work environments. 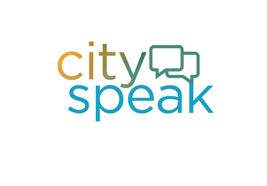 Springfield University’s community environment promotes a culture of listening to the needs of each student and working with them to achieve their goals and career ambitions. Find out why USQ can create realistic employment opportunities in your dream career after study. Or, if you know what you want to study, take the next step and apply for USQ Springfield*. Simply answer a few questions and Springfield University will help you explore the possibilities of a fulfilling post-graduate career with you at every step. Springfield university has built its own dedicated library to provide students with the resources required to excel in their education. In addition to thousands of online books and journals, the Library houses a computer lab, group study rooms and quiet student study spaces. The Works offer an extensive free weights area, large cardio area, skills zone area, crèche and a variety of classes as well as gym trainers to assist you with your fitness and health needs. The Education City Residential Village located just 100 metres from USQ Springfield provides a friendly residential community environment. The modern two to seven-bedroom apartments are fully furnished and include appliances. Email welfare@usq.edu.au for more information. The high-definition screen production studio incorporates a production green screen, infinity cyclorama, performance curtain, full blacks around the studio, and DMX controlled LED lighting structure. 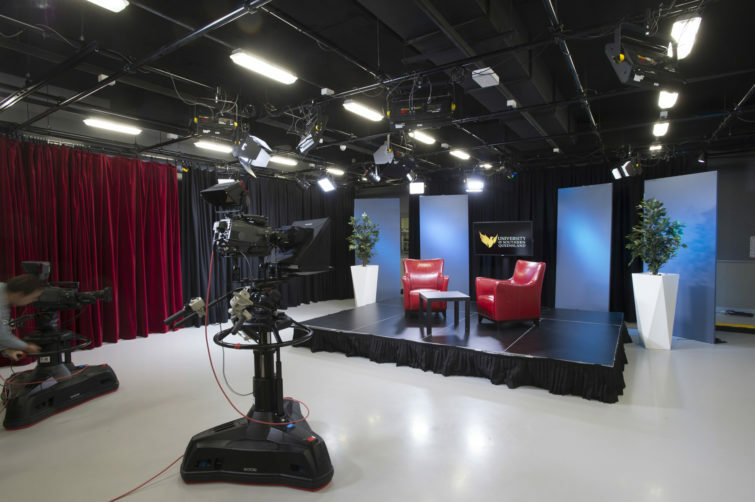 Studio two is set up as a talent operated system, ideal for hosting and one-on-one interviews. The Centre also includes production offices, Green Room, make-up room and meeting rooms. The Engineering Laboratory has been purpose built for students, providing access to hands-on laboratory-based practice courses in areas such as physics, surveying, materials testing (such as concrete, wood, and steel), hydraulics, soil mechanics, and geology. Powered by our own Bachelor of Applied Media students, Phoenix Radio captures the community centred career focus of Springfield campus with a mix of music, chat, and information for the Greater Ipswich area. USQ’s $1 million Flight Simulator faithfully replicates a Boeing 737-800 and features the most up-to-date equipment and technology in the world. The simulator provides aviation students with the most realistic multi-crew simulated training in an aircraft cockpit, putting Springfield University at the cutting edge of aviation education in Australia. The Good Universities Guide Awards for 2018 revealed that USQ students go on to be some of the most highly employed graduates in the country. Five stars are awarded to USQ for Full-Time Employment where 82.5% of graduates find full-time jobs within four months of graduating, well above the national average of 69.5% (The Good Universities Guide, 2018). In mid-May, USQ was named a Good Design Award winner at the Sydney Opera House for its new approach in delivering scholarly information and learning services to students and staff. This included all the various University units responsible for scholarly information and learning services, including the Office for the Advancement of Learning and Teaching, Library Services, and the Digital Life Lab. On the 7th September 2018, from 3:00pm to 7:00pm at USQ Springfield is the University Open Day. Here you can find out all the information you need about studying at USQ Springfield or about how your future could look after your education at Australia’s No 1. University for post-graduate employment. Register online to learn more about the Springfield university community and experience. As part of Greater Springfield’s Education City precinct, the University of Southern Queensland Springfield is positioned within walking distance of the World Knowledge Centre. This facility has been purpose-built for innovative, education-based businesses and organisations to connect and collaborate with Greater Springfield’s broader education base, including the adjacent USQ campus and its students. Best of all, the World Knowledge centre foyer has recently been renovated with a brand new facelift making the space even more inviting for creative and innovative minds. This building is the perfect commercial opportunity for your training, innovation or education-based organisation, allowing you to join other tenants such as the Union Institute of Language and FlyLink Aviation. Contact commercial@springfieldland.com.au for leasing enquiries. *Please note that not all courses and areas of study are available at the Springfield Campus.